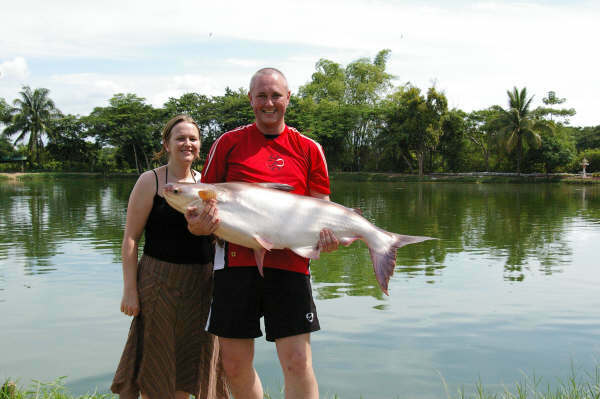 At this venue we guarantee you will catch a nice fish. 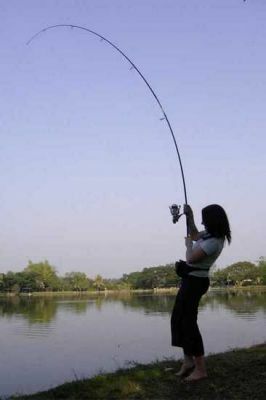 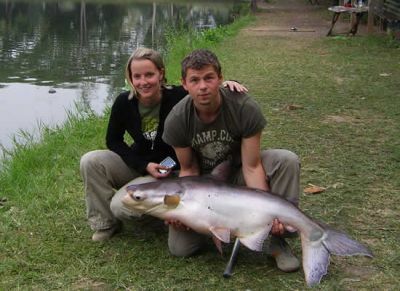 The average size of catfish is 5 -20kg (11lb - 45lb) and the chance for bigger ones is fairly good. 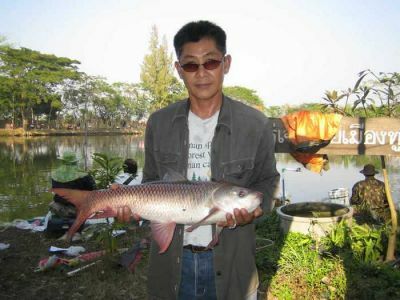 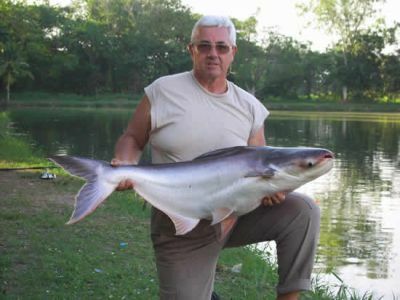 TARGET SPECIES: Giant Mekong catfish (Pla buek) 5kg -40kg (11lb - 88lb), Striped catfish (Pla Sawai) 5kg - 25kg (11lb - 55lb) and Big wai (cross breed mekong catfish and striped catfish) These are the main targets and you will be deeply impressed by the power of these furious fighting species. 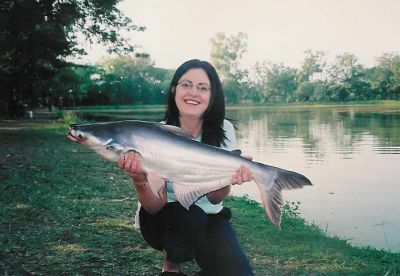 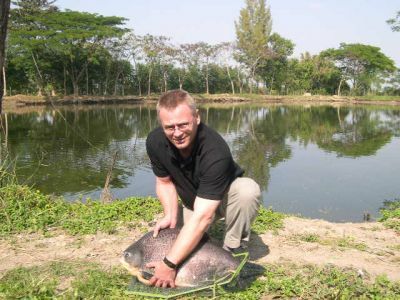 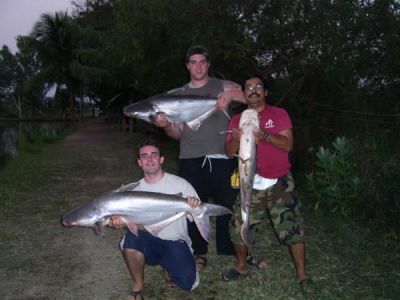 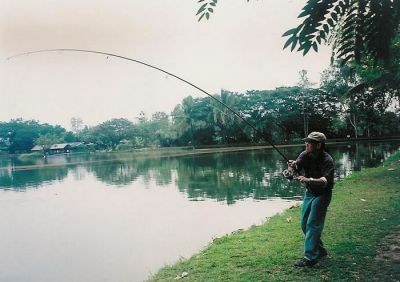 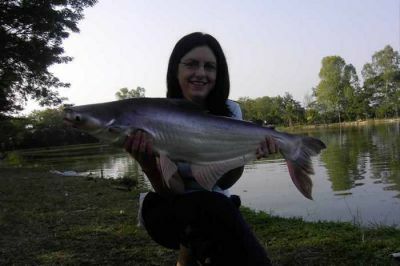 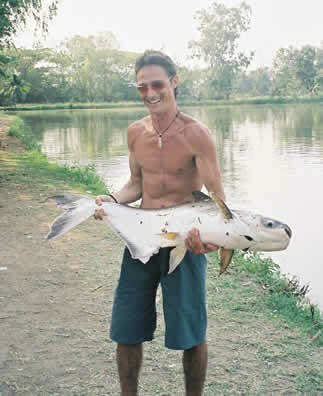 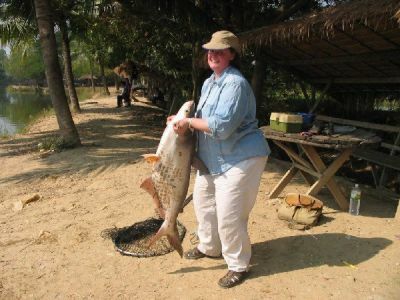 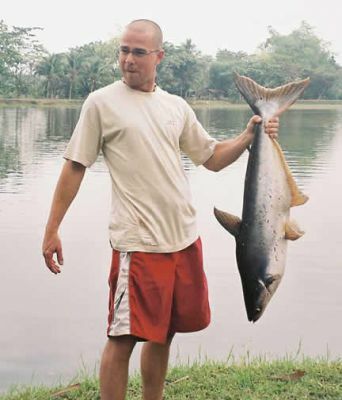 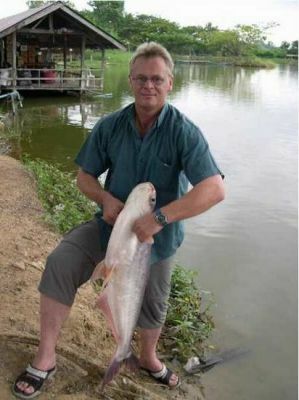 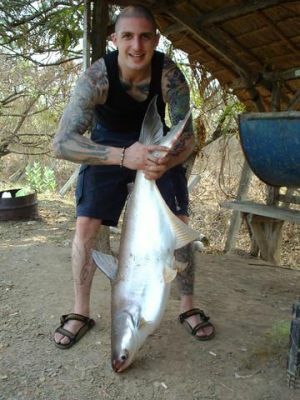 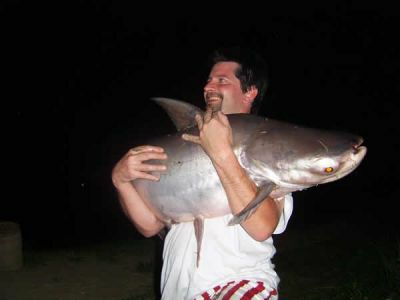 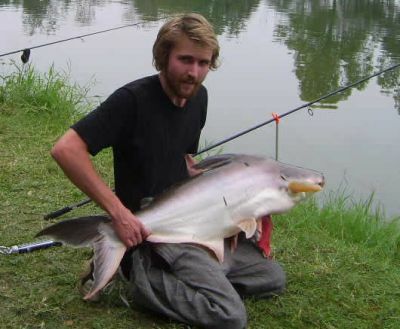 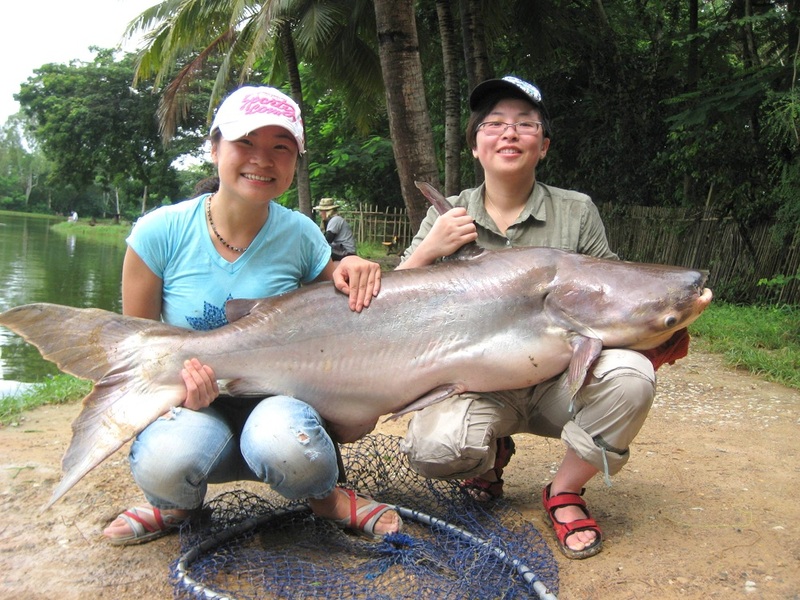 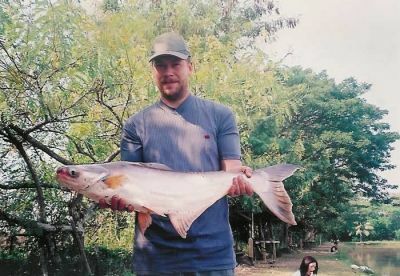 The Giant Mekong catfish is well known in Thailand as a brute and a tackle destroyer. 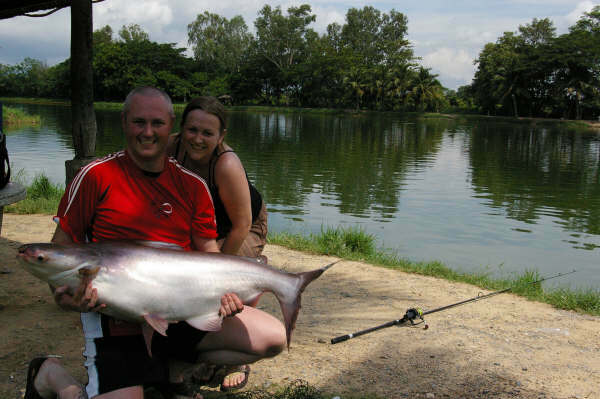 Round trip Transfer from your hotel or guest house in Chiang mai to the lake. 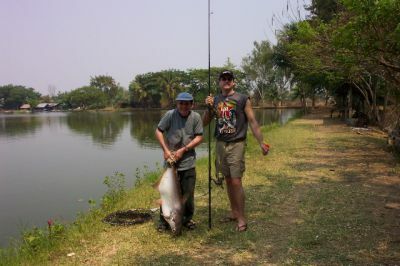 Lunch-box is included in the full day session.